Win Win lottery draw held on every Mondays. 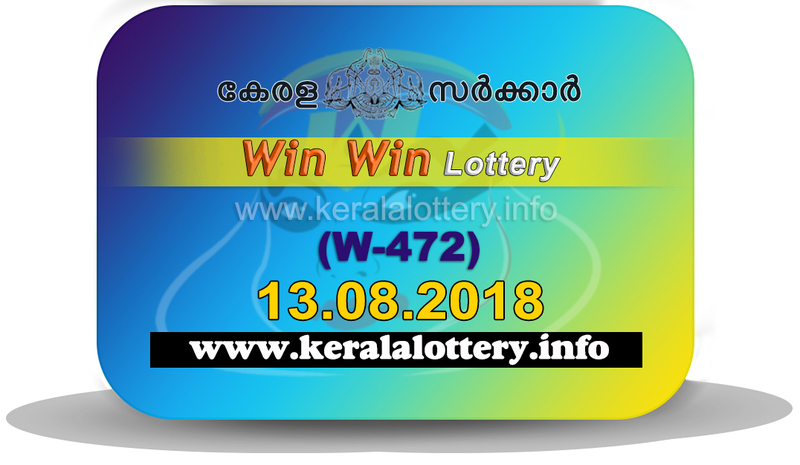 Today Kerala lottery result is the result of win win lottery 13/08/2018. And today is the 473rd draw of win win lottery. The draw will be conducted at sree chithra home auditorium as usual. 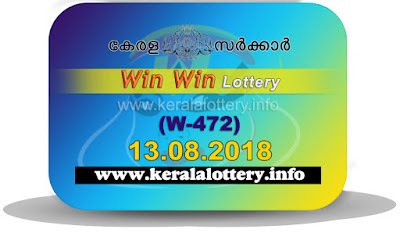 The win win lottery W-473 draw will be held at 3 pm and the result will be published in the official site keralalotteries com at 4 pm. But we publish the live result at 3.05 pm as announced and the official result will be at the same time as in the official site. "If you didn't get the result after 3.05 pm then click the Refresh button for a proper refresh. Kindly request you to refer the official site if you feel any mistake here. we are here just for promoting Kerala lottery".